The ELECTRA-SILVER is our most popular permanent furnace filter. We have thousands of happy customers using the Electra-Silver to clean their home's air. These same filters are usually only available through HVAC contractors. They generally charge their customers $100-$150 for these same filters. Our buying power and low overhead allow us to offer these furnace filters for 1/2 price. Drop in replacement for your throw-away disposable furnace (also called a/c) filter. No electricity required. The Electra Silver filter builds a natural static charge as air passes through the special polypro layers. Excellent for allergy sufferers! Cleans your indoor air of allergens like pollen, dust, mold spores and pet dander. All filters come with Lifetime warranty. Your satisfaction is 100% guaranteed! These filters are permanent and washable. Just hose off, let dry and reinstall. Air Care filters provide a great balance of HIGH DUST ARRESTANCE and LOW AIR RESISTANCE. There is no industry standard for electrostatic filters. Company's are making filters with cheap imitation media and calling them "Electrostatic". Some permanent filters are too restrictive and can increase your energy bill or even damage your HVAC unit. 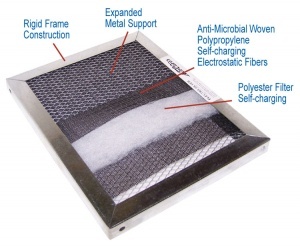 Air Care filters are made out of electro-static polypropylene mesh and polyester media with an extruded stainless steel frame, mitered, screwed corners, and galvanized wire mesh screening which is one inch thick. 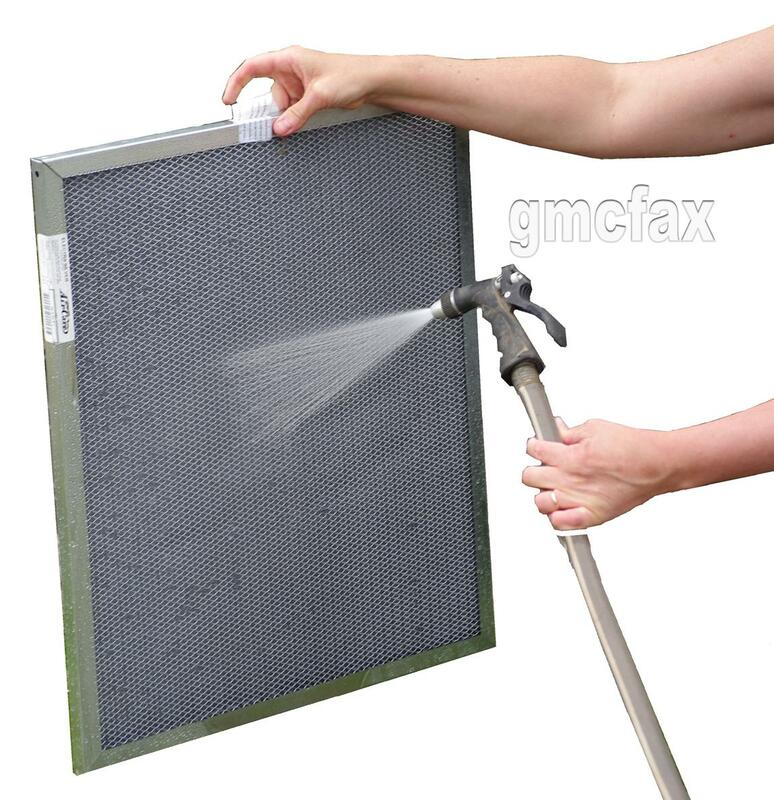 THESE FILTERS ARE BUILT TO LAST REPEATED WASHINGS - just hose it off, air dry, and reinstall. The Electra Silver 9400 is designed to provide high dust arrestance for your central air system (furnaces and air conditioners). The low 0.12 inch W.G. initial resistance of the Electra Silver will perform best in systems configured with 1 square foot, or more, of filter area for each ton of air conditioning. Two layers of woven monofilament polypropylene with integral anti-microbial material provides 10 times more filtration than a disposable fiberglass filter. The deep loading center layer of non-woven polyester allows the Electra Silver 9400 to prolong the time between washings. 1. Standard size filters are undercut by 3/8 inch (this is the industry standard) For example, a 20x25x1 filter will measure EXACTLY 19-5/8 x 24-5/8 x 7/8. 2. All filters are exactly 7/8 inch thick. 3. Our filters are shipped from Las Vegas, Nevada via Fed-Ex Ground. The factory normally has a turn around time of 5-10 business days from payment to shipment. 4. All 3 Air-Care filter styles (Silver, Gold & Flexible) have the same electrostatic media and the same specifications. 5. Gold and Flexible frames are $10.00 more than standard metal frames. 6. Custom sizes are $5.00 more than Standard sizes.